San Francisco Animal Care & Control is thrilled to host Pet Pride Day, a free event for the whole family to enjoy! 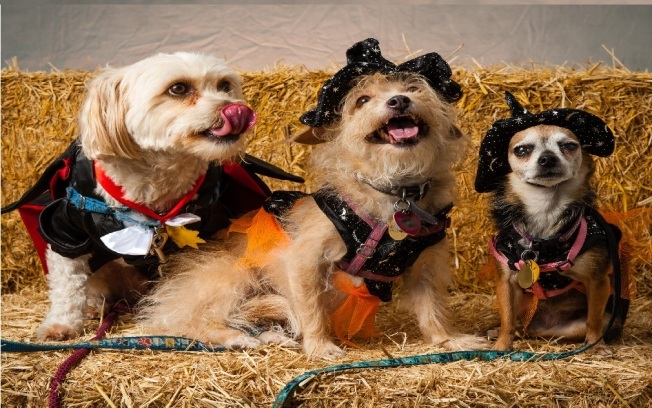 Dress up your pet and enter in the costume contest or show off your old dog's new tricks and win prizes! There will be a raffle with a grand prize of two round-trip tickets on Alaska Airlines. Take pictures in the festive photo booth and enjoy the beer and wine garden. Expect furry friends all around and SFACC is waiving all pet adoptions to help you find your forever friend. San Francisco Animal Care & Control (SFACC) is thrilled to host Pet Pride Day, a free event for the whole family to enjoy! Dress your pet up and enter in the costume contest or show off your old dog's new tricks and win prizes! There will be a raffle with a grand prize of two round-trip tickets on Alaska Airlines. There will be an opprtunity to take pictures in the festive photo booth and enjoy the beer and wine garden. Come to expect furry friends all around and SFACC is waiving all pet adoptions to help you find your forever friend.